Aged care peak bodies are hitting back at mainstream media reports based on data first released mid last year about the quality of food in aged care, saying the information is “misleading” and “misrepresents” the experience of food in an aged care setting, after claims were made that prisoners and pets have more money spent to feed them than aged care residents. The recent media reports are focusing on figures that were originally released back in July 2017, in an early release of a report entitled ‘What does it cost to feed aged care residents in Australia?’ by lead author Cherie Hugo (reported on by Talking Aged Care over five months ago). 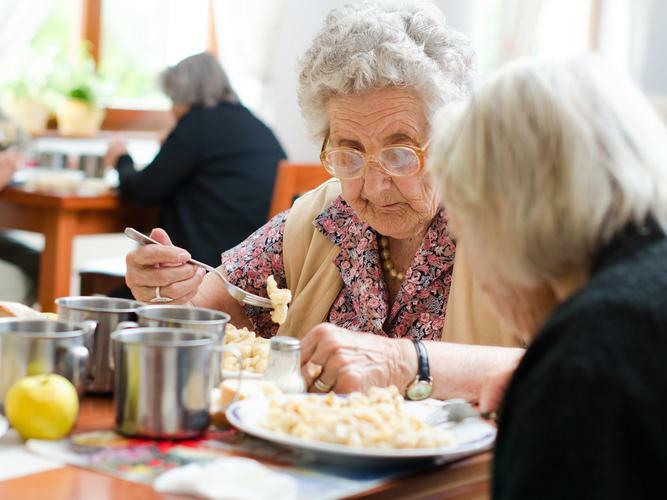 The report, now in the spotlight again after appearing in a compilation journal this week, suggests that aged care residents are fed on roughly $6.08 per day, a figure which does not include the dietary supplements used to support a residents diet. When the importance of nutrition in aged care was originally highlighted, last year when the research paper was first published in the Nutrition and Dietetics journal, it not only noted that the daily spend on food per day per person was $6.08, it also made note of a 128 percent increase per resident in the spend on nutritional supplements and meal replacements. In the 25 August 2017 Talking Aged Care article ‘Experts suggest a “food first” philosophy in aged care’, Accredited Practising Dietitian and Spokesperson for the Dietitians Association of Australia, Joel Feren, shared his “worry” over the reports evidence of increased use of supplements and decrease in spend on fresh ingredients, stating that in the aged care industry we are “dealing with a population that is often in need of increased energy and protein”. “Reducing the food budget means that residents aren’t getting nutritionally adequate intake from their food,” he explained. At the time, Mr Feren suggested it was “in the best interest of providers to nip it in the bud” and spend the money on good quality foods and aim to meet the residents nutritional needs that way. With the 8 February 2018 release of a themed Nutrition and Dietetics journal - Nutrition, Geriatrics and Aged Care - a compilation of recent study reports, including the 2017 report by Dr Hugo, a number of aged care peak bodies spoke up in support of aged care providers, the industry and accreditation process, sparking further debate on the topic. Leading Age Services Australia (LASA) Chief Executive Officer (CEO) Sean Rooney was one of the peak body representatives who shared his disappointment in the claims currently being reported on that compare the amount of money spent on food for prisoners and pets with aged care residents, saying the reporting is “misleading” and could cause “unnecessary concern” for older Australians and their families. Mr Rooney adds that all residential aged care facilities in Australia are accredited by the Federal Government and nutrition is a “key consideration” in this process. “During both unannounced visits and in re-accreditation visits, residential care facilities are assessed against these standards,” Mr Rooney explains. Fellow aged care peak body Aged and Community Services Australia (ACSA) CEO Pat Sparrow has also taken a stand against the claims made by mainstream media, saying that providers are conscious of both the importance of good quality, nutritious food for the overall wellbeing of residents while also being attentive to their responsibilities with regards to regulated standards of nutrition. “The diets described in recent media reports would result in sanctions for non-compliance on industry standards relating to adequate nourishment and hydration,” Ms Sparrow says.